There are some many interesting videos on Taiwan out there that it’s hard to keep track of those really worth watching. Here are some I consider worthwhile. 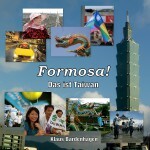 A collection of interesting historic Taiwan footage is online at Vintage Formosa. Taiwanese or Chinese? Documentary about the identity of Taiwan’s younger generation. A Documentary on Taiwan’s Struggle for Democracy. Official Homepage. Documentary about tribal culture in Taiwan (teaser). Official Homepage. Three-part documentary chronicling the unrest surrounding PRC envoy Chen Yunlin’s Taipei visit in November 2008. Manipulative, but powerful. 1960 US documentary full of amazing color footage, hair-raising clichees and lots of propaganda. The very last sentence is pure gold. Trailer for Taiwan’s biggest movie so far, about a 1930 Aboriginal rebellion against the Japanese (Wushe Incident). US military in Taiwan, ca. early 1970s. Propaganda in glorious colour. Nice shots of Kinmen, Taipei without cars etc. US military assistance to the ROC, ca. 1965. Cold War propaganda at its best, 30 minutes full of factual errors and amazing b/w footage of Taiwan, Kinmen („Quemoy“), the 1949 KMT exodus etc. Report on the work of The Society for the Prevention of Cruelty to Animals in Taiwan. CNN TalkAsia interview with Ma Ying-jeou when he was still Taiwan’s opposition leader and mayor of Taipei (intro and three parts). CNN TalkAsia interview with Chen Shui-bian when he was still Taiwan’s president, long before he was put on trial for corruption charges (intro and three parts). New international promotional video, shot using movie production values to incorporate the island’s natural beauty and cultural diversity into a short film. Malaysians come to Taiwan and make everything look beautiful. Some very very nice shots in HD, and Taiwan’s former official tourism song. Meine eigenen Fernsehberichte aus Taiwan. Was an der Taiwanstraße wirklich los ist. Suche nach alternativen Energiequellen: Bericht der Deutschen Welle über ein Hydrokraftwerk in Südtaiwan. Do you now more videos that should be listed here?